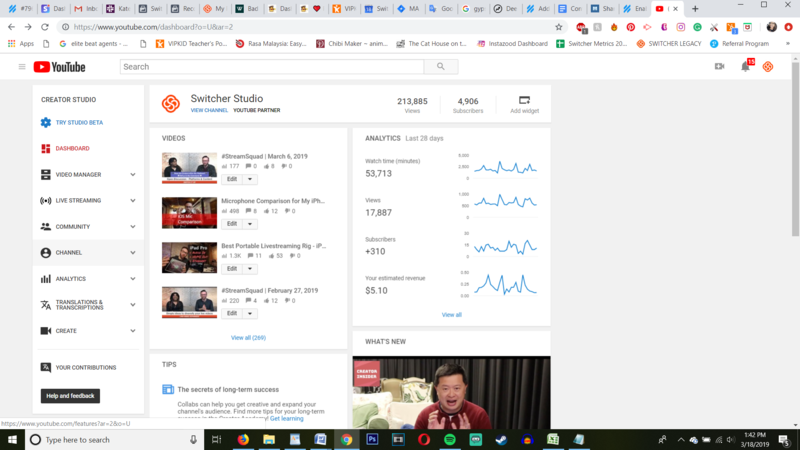 Switcher Studio makes streaming to YouTube easier than ever before; however, you will need to make sure your YouTube account has live streaming enabled prior to your first broadcast. You will need to use a computer for this process. 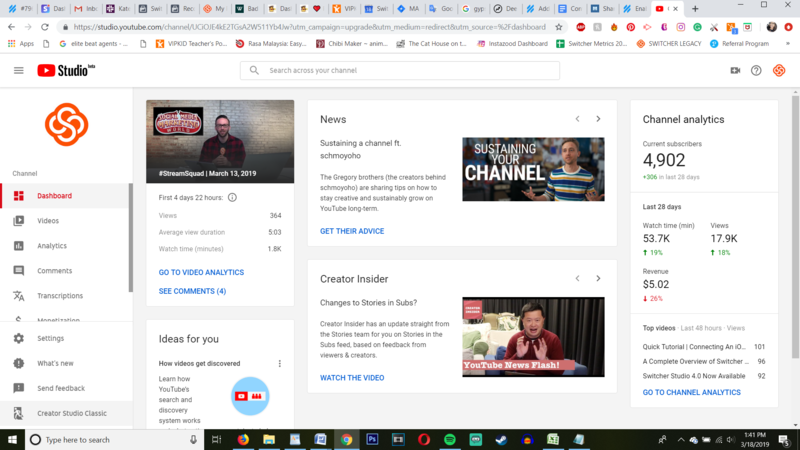 Log into your account at YouTube.com. Click on your profile icon in the top-right corner of the screen to reveal additional options. Select Creator Studio. At the bottom of the menu on the left-hand side is an option for Creator Studio Classic. Click this. 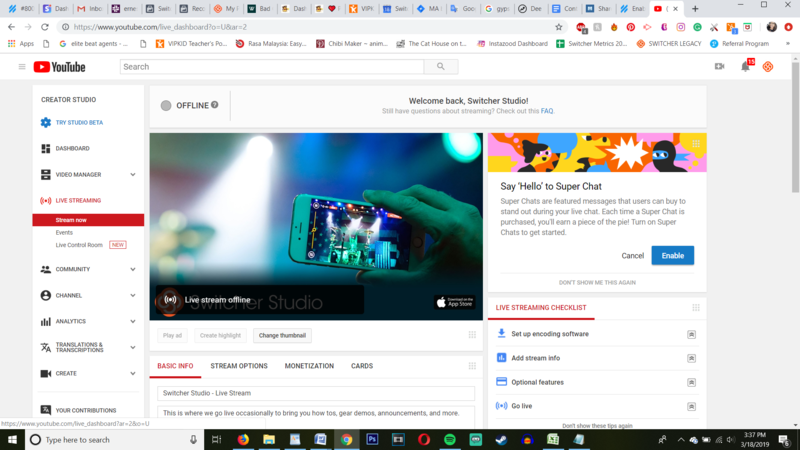 The Creator Studio menu appears on the left-hand side. Click Channel. 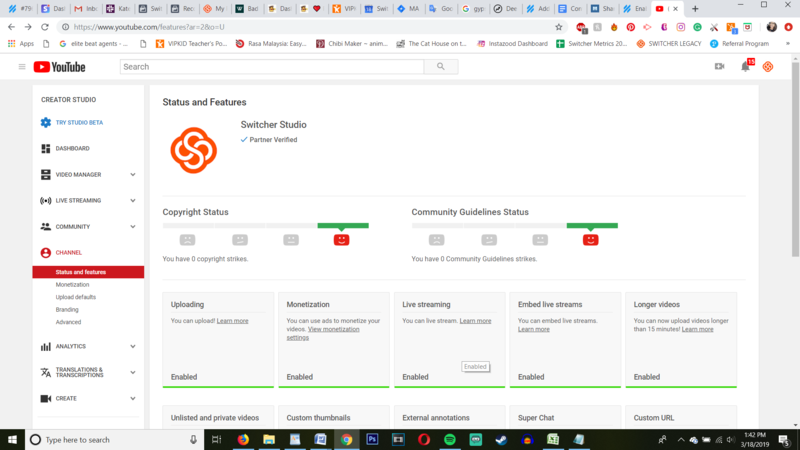 You now see a grid showing the features available for your channel. If "Live Streaming" is disabled, click enable to enable it. Wait for one hour. 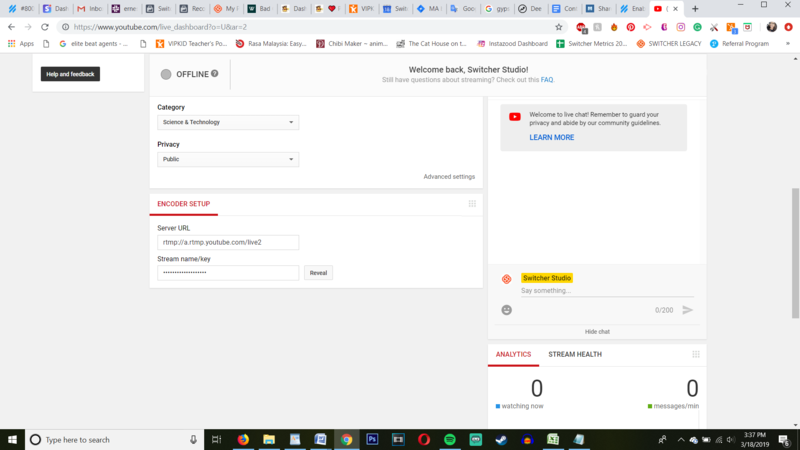 Your YouTube account now has live streaming enabled! 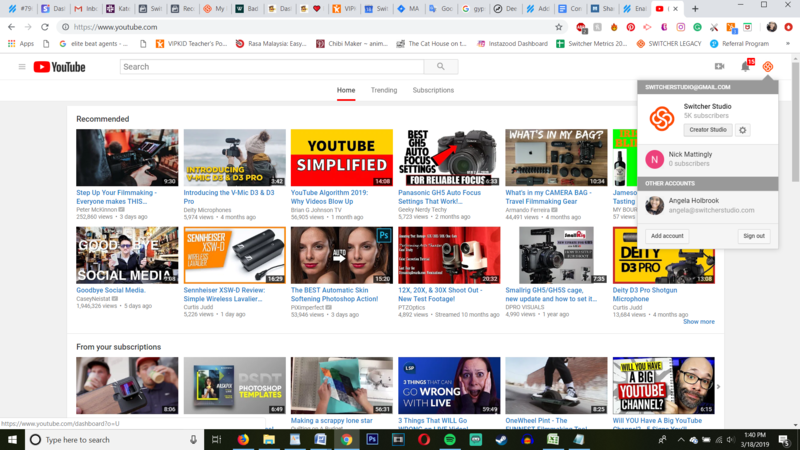 If YouTube Now is already showing as enabled on your Channel, yet Switcher Studio is saying that it is not, there are a few quick steps that will get you back on your feet. Return to the Classic Creator Studio, where you were in Step #3 above. Click on Live Streaming. Scroll down to the bottom of the page. You will see a section called Encoder Setup. Click "Reveal". Then, click "Reset" within ten seconds. This will refresh your encoder and will disable the "Enable YouTube Now" message within Switcher Studio.